Just when you thought the human rights situation in Afghanistan couldn’t get more outrageous: two men in said country now face possible execution, and four others have been jailed, for the crime of… translating the Qur’an. Frequent readers of this blog will no doubt recall the case of Parwez Kambakhsh who was first sentenced to death and then had that commuted to 20 years in jail for discussing women’s rights. His case is still pending. The present case involves Ahmad Ghaws Zalmai who translated to Qur’an from Arabic into one of Afghanistan’s several local languages for people who can’t read the document in the original language. Many clerics rejected the book because it did not include the original Arabic verses alongside the translation. It’s a particularly sensitive detail for Muslims, who regard the Arabic Quran as words given directly by God. A translation is not considered a Quran itself, and a mistranslation could warp God’s word. The clerics said Zalmai, a stocky 54-year-old spokesman for the attorney general, was trying to anoint himself as a prophet. They said his book was trying to replace the Quran, not offer a simple translation. Translated editions of the Quran abound in Kabul markets, but they include Arabic verses. Most English-language editions of the Qur’an include the Arabic text side-by-side with the English, and since books written in Semitic languages (including Hebrew) read back-to-front (from out point of view) you turn the pages of such books from left to right, not right to left. Editions of the Qur’an without the Arabic are often considered to not really be the Qur’an, by some Moslems, but merely interpretations thereof, thus Marmaduke Pickthall’s well-known translation (as we would call it) is titled The Meaning of the Glorious Koran instead of just The Qur’an. I can find no source indicating what, if any, errors or mistranslations the mobs in question are upset about. Quite possibly, this is just an excuse for the imams to exercise power to keep people in line and for and the crowds to demonstrate their loyalty thereto. All the men charged are pleading ignorance: the publisher didn’t read the book, the imam who signed a statement of support for it was tricked into doing so, Zalmai didn’t know it’d be a problem to omit the Arabic text. Hopefully this case will garner international attention and the central government, led by Hamid Karzai, will be able to work something out. Like they did with that convert to Christianity who, instead of being executed, was declared insane and allowed to flee the country. By a vote of 20-3 the commission found that racial disparities and differences in how the death penalty is sought from one jurisdiction to the next created significant problems. The present administration of capital punishment shows substantial disparities in its application based on race and jurisdiction. … These disparities are so great among and between comparable cases that the death penalty process is best described as arbitrary and capricious. For instance, the chances of receiving the death penalty in Baltimore County is about 23 times higher than the chances of receiving the death penalty in Baltimore City (they are geographically and politically distinct entities). The commission reported that the death penalty is not an effective deterrent, saying they found “no persuasive evidence that the death penalty deters homicides in Maryland.” They also found that the additional costs that the death penalty incurs do not bring corresponding benefits. They estimate that $186 million could have been saved between 1978–1999 if the state had sought life imprisonment without the possibility of parole in lieu of the death penalty. Of course, they also cited the chance that an innocent person could be executed, despite advances in forensic science, including DNA evidence (which is only available in a minority of death eligible cases). For a summary of their findings, click here. Fifteen other states, plush the District of Columbia, have no death penalty; and in many other states it is rarely used. Efforts to abolish capital punishment failed in the Maryland General Assembly the past two sessions, last year on a tied vote in a Senate committee. It is expected that the commission report will increase the chances of abolition passing during the 2009 session and will certainly make the debate one of chief interest. Maryland has carried out five executions since the U.S. Supreme Court reinstated capital punishment in 1978, two of them since 2000. Currently five people are on the state’s death row. 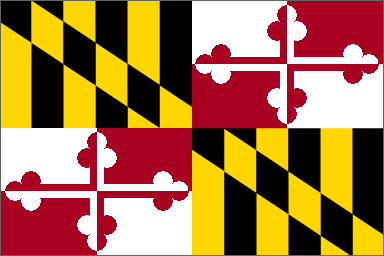 Unlike most other states with the death penalty, Maryland does not offer the condemned a “last meal”; he or she is simply served whatever is on the prison menu that day. For more info, see Wikipedia’s article on capital punishment in Maryland, which has data going back to 1638. An appeals court in Afghanistan has sentenced 24-year old Parwez Kambakhsh to 20 years in jail for promoting women’s rights—and that’s actually an improvement in his condition; the trial court sentenced him to death. Kambakhsh, a journalism student at Balkh University in Mazar-e-Sharif, is accused of “insulting Islam and abusing the Holy Prophet Mohammad,” charges stemming from allegations that he asked questions in class that indicated a criticism of the way women are treated in his country and that he printed out and disseminated an essay that asked why Islam doesn’t modernize and recognize women’s rights. He denies downloading or handing out the article and says he didn’t write his own comments on it, as the prosecution alleges. 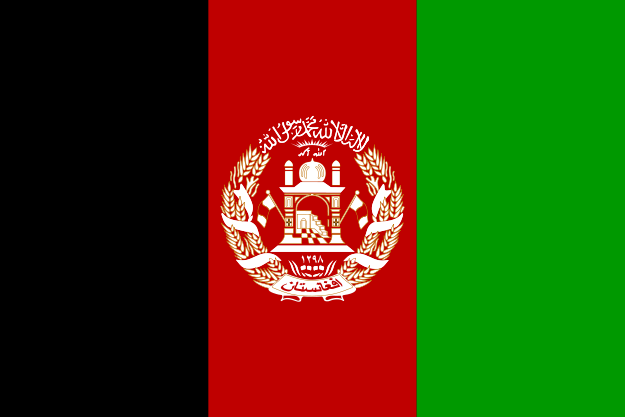 The current Flag of Afghanistan, adopted 2004. Afghanistan has had 23 flags since the start of the 20th century--more than any other country--including one that was all white and another that was all black. The presiding judge at his trial, Abdul Salam Qazizada, is a holdover from the Taliban days and was clearly hostile to Kambakhsh, who hasn’t received a fair trial according to international observers. He was detained far longer than he should have been and his lawyer didn’t get to speak with witnesses until the day before the trial. He also reports that he was abused and coerced into confessing by the police. At least one “witness” says he was threatened into testifying against Kambakhsh. And this procedural stuff is ignoring the fact that he’s on trial for talking about women’s rights in the first place. While it is depressing that it is illegal to discuss women’s rights anywhere in the world in the 21st century, but if you read the accounts of his trial carefully there is reason to hope. The judge said that “Kambakhsh may have wanted to make himself popular by writing this text.” If his peers and fellow students were against women’s rights, challenging the status quo would hardly make Kambakhsh popular. Such an action would only make him popular if tapped into beliefs that were already there and growing amongst the young Afghani population. It’s too much to suggest that women’s lib will soon come to Afghanistan and that they’ll be burning their burqas, but progress is on the march there, as in Saudi Arabia, where women may soon be able to drive cars. It is thought that Kambakhsh may have been targeted because his brother, Yaqub Ibrahimi, had written about human rights violations and criticized local warlords. Note that Yaqub is the Arabic form of the name Jacob. Kambakhsh may still appeal his sentencing to the Afghan Supreme Court. Note that I’m the one who started the Wikipedia article on the Afghan Supreme Court. Check it out for examples of some of it’s reactionary and backwards rulings, along with news that President Hamid Karzai has since appointed some more moderate jurists to that tribunal. Hopefully international attention and pressure will continue to be applied to Karzai and the Supreme Court will overturn this silly conviction.